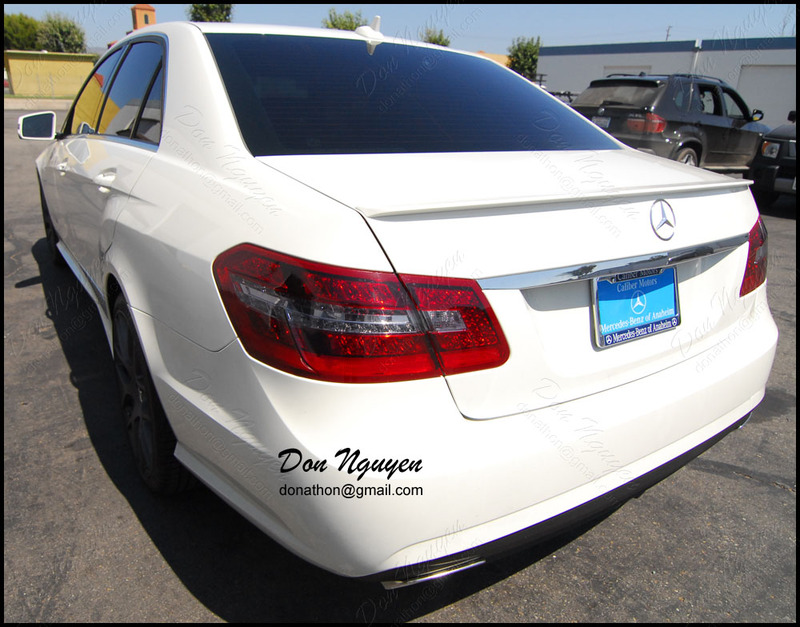 Had this new white E class E350 come by to have me lightly tint / smoke the tail lights on his car. The owner of this car drove out to me in Anaheim Hills / Orange County to have the work done. Since the tail lights over lap onto the rear quarter/side a bit, I also took a side picture to give you guys an idea of how the tinted / smoked tail lights looks like from a side profile.